Norah is a skilled music educator with a passion for sharing her music with young and old, and beginners to advanced musicians. She loves teaching workshops, group classes and private lessons, so don’t hesitate to get in touch! Norah has a MA in Irish Traditional Music from the Irish World Academy of Music and Dance at the University of Limerick and BMus from McGill University in Music Education and Early Music Performance and Literature. Norah taught voice, flute and instrumental ensemble, and the ear, notation and theory programme at the University of Limerick. She was a voice instructor at Janet Harbison’s Irish Harp Centre, and currently directs the youth ensemble program and music for children program at Center for Irish Music. Norah designed her own music for children programmes at O’Shea Irish Dance (Minnesota), Prussin Music (Vancouver) and the Amati String Studio (Vancouver). Norah has also led multiple recorder workshops through Early Music Vancouver and the BC Recorder Society. Currently, Norah is the Executive Director of an Irish music school called Center for Irish Music in Saint Paul, Minnesota. The CIM is dedicated to handing down traditional Irish music to the next generation of musicians in the community. 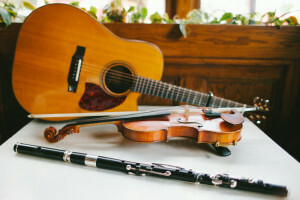 Through private lessons, group classes, sessions and events, the school aims to inspire and support the traditional Irish music community in the Twin Cities, throughout the Midwest, and Canada. There are some wonderful free resources on the Center for Irish Music‘s webpage. Norah takes both a technical and artistic approach to singing instruction encouraging her students to find their own voice through solid technique and exploring new repertoire. Lessons include vocal warmups, breathing exercises, and instruction/coaching on ornamentation, phrasing and delivery through learning new songs. Norah’s flute and whistle lessons focus on breathing, fingerwork and personal style through teaching Irish tunes that sit well on the the flute. Norah’s whistle lessons focus on breathing, fingerwork and personal style through teaching Irish tunes that sit well on the the whistle. Beginner to advanced / Norah’s instruction on how to play recorder includes breath support, tone production, posture and finger technique. Norah’s experience is with Renaissance, Baroque and contemporary recorder repertoire. She can help prepare students for Royal Conservatory of Toronto exams or auditions into university or college.